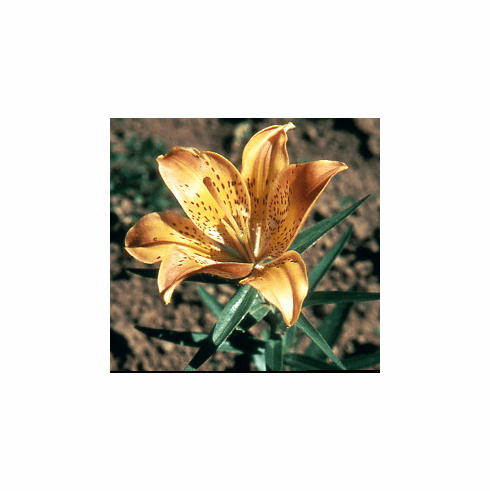 A very short growing variant of Lilium dauricum is 'alpinum' that reaches only 6 to 8 inches in height. With a flower far too large in proportion to its stem and leaf development, it looks awkward in the garden. Enjoys the same conditions as its more familiar "big" brother. Title photo was from stem grown from seed provided by renowned botanist, Mr. Moto Shimizu of Japan. Photo inset is of a selection made from a cross of L. dauricum var. alpinum with L. cernuum by Len Marshall.